But Sendak illustrated another school publication at least four years before the one for Lafayette: his work appeared on the cover of the June 1943 Boody Beacon, the yearbook of David A. Boody Junior High School at 228 Avenue S in Gravesend. 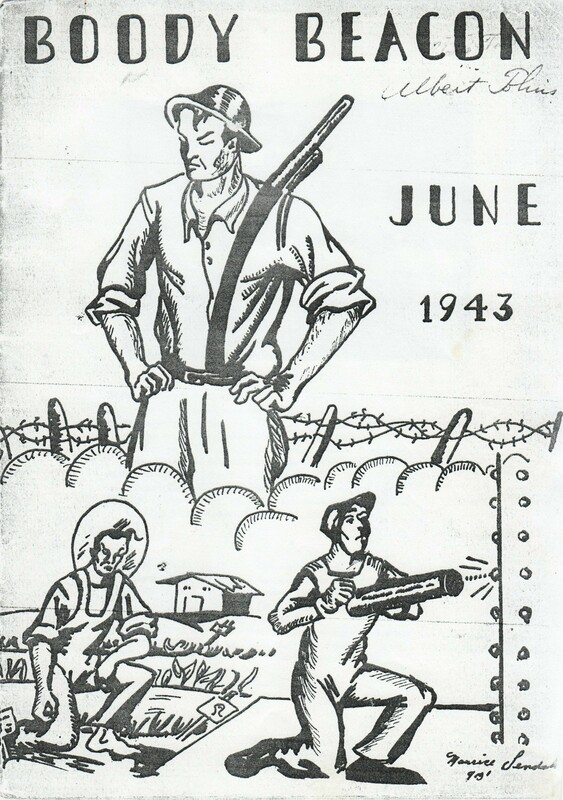 Where the Lafayette illustration depicts a man worn down by war, the Boody image shows a younger, confident figure progressing from farmer to riveter to soldier. Sendak graduated from Boody in class 9B1. 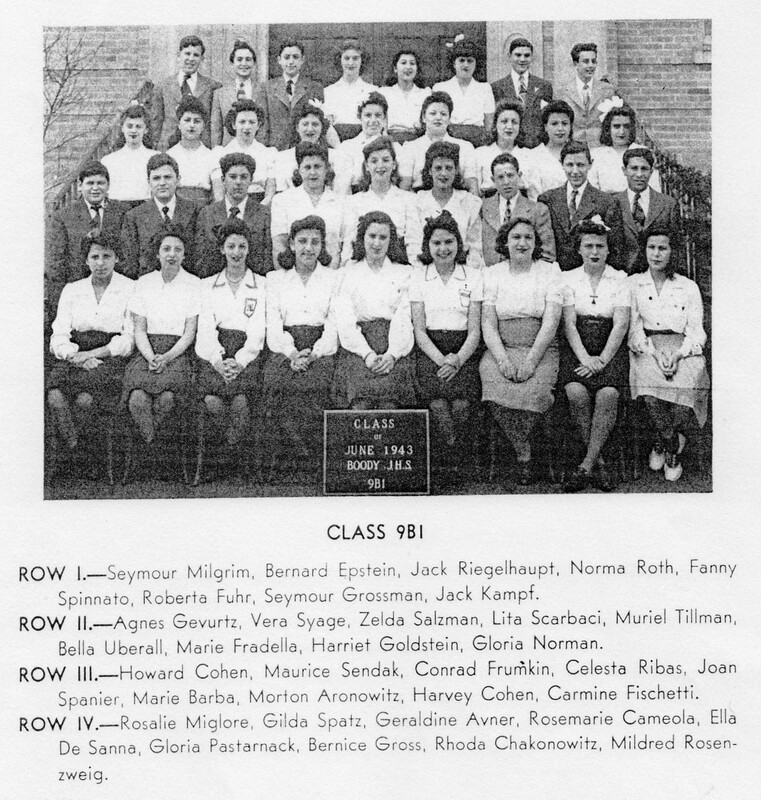 His photo is on page 28 of the Beacon, where he stands in the third row from the top, second from left. Detail of page 28 of the Boody Beacon, June 1943, showing Maurice Sendak, third row from top, second from left. Incidentally, for those who insist on claiming Maurice Sendak as a son of Bensonhurst, we present the following page from the 1940 U.S. federal census, which shows the Sendak family (on lines 20 through 24) — parents Philip and Sadie with their children Nettie, Jack, and eleven-year-old “Morris” — living at 1717 West 6th Street, between Quentin Road and Kings Highway. That’s right smack in the middle of Gravesend. 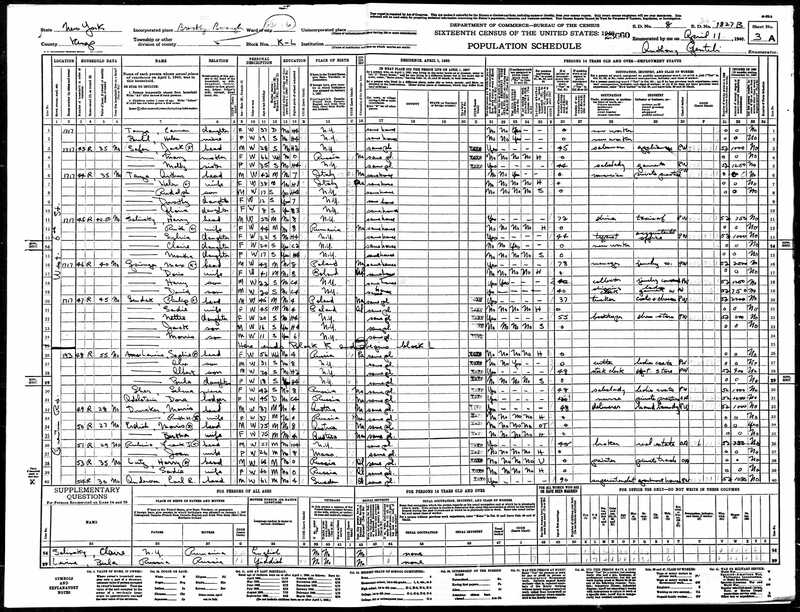 1940 U.S. census showing “Morris” Sendak (line 24) living at 1717 West 6th Street, Gravesend, Brooklyn, New York. By April 26, 1942, when Sendak’s father, Philip, filled out his World War II draft registration card, the family had moved to 1518 West 4th Street, between Avenues O and P, still within walking distance of Boody. 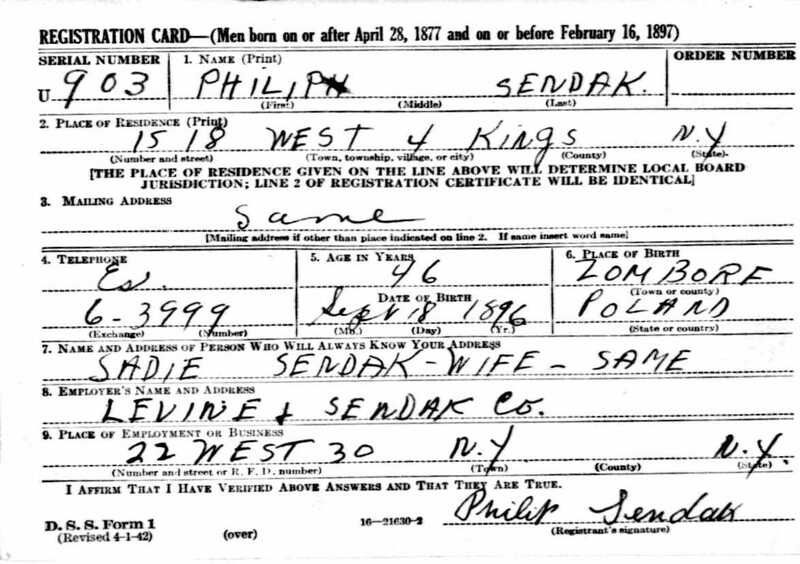 World War II draft registration for Philip Sendak, father of Maurice.